The trial of Joaquin “El Chapo” Guzman Loera has begun in a Brooklyn court after the successful completion of the jury selection process. His day in court comes nearly two years after his extradition from Mexico. The trial is expected to last about four months. This trial is considered by many to be the most significant criminal trial in decades. Guzman, 61, was once considered the world’s biggest drug trafficker. 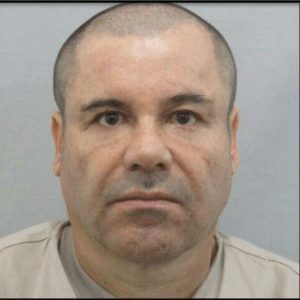 According to reports, he is estimated to have earned nearly $14 billion as kingpin of the Sinaloa drug cartel. Guzman has been hit with charges related to international drug trafficking, conspiring to murder rivals, gun violations, and money laundering. He is facing a sentence of life in prison. Guzman has pleaded not guilty. Unprecedented security measures are being taken for the trial. A police motorcade that includes a SWAT team and an ambulance transports Guzman to and from the Manhattan federal lockup, shutting down the Brooklyn Bridge each time. Heavily armed federal marshals and officers with bomb-sniffing dogs guard the courthouse. Visitors must pass through a metal detector at the entrance to the courtroom. The jurors will remain anonymous and partly sequestered, with armed escorts to and from the proceedings. One juror asked to be dismissed from the case in a letter to the judge. According to the letter, which was read aloud in court, she has suffered from anxiety since being selected for the jury. The prosecution and defense agreed to excuse the juror. During the opening statements, Assistant US Attorney Adam Fels told the jury that Guzman was the leader of a powerful and murderous drug cartel. The cartel moved hundreds of tons of Colombian cocaine into Mexico using planes, boats, and submarines before transporting it to distribution hubs in the US. The prosecutor said that at one point, Guzman was turning $10 million cocaine deals and had an army of hundreds of men in Mexico armed with assault rifles. Lichtman claimed that during the significant amount of time Guzman spent in Mexican prisons, the flow of drugs into the United States never slowed down. In fact, his capture fueled a shocking surge in violence in his native country. Guzman escaped from Mexican prisons multiple times during his incarceration.